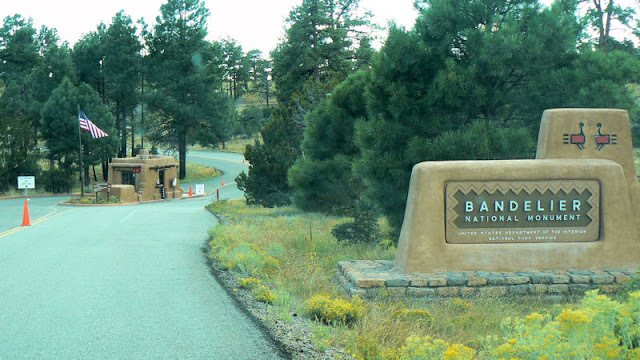 Just down the road from White Rock, NM (about 7 miles on NM 4), is the entrance to Bandelier National Monument which leads to lots of back country wilderness areas and Frijoles Canyon where you find the headquarters, Tyuonyi, museum, and many other preserved ruins. Ah, thank you for posting this...I do love Bandelier! It soothes my soul! Great entry shot, I wish I was in a car headed in there right now!